Opinion: What Happened to Next Generation Graphics? 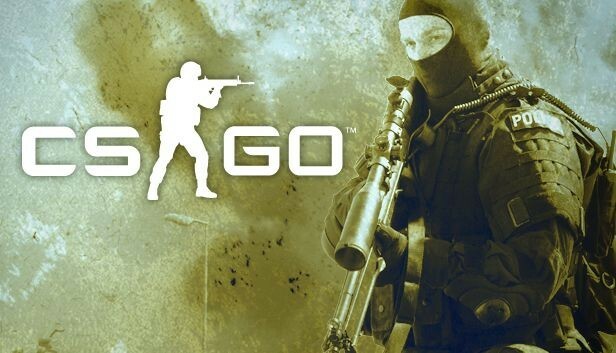 With the recent announcement about Counter Strike Global Offensive from Valve this past month, it has come to my realization that THERE HASN’T BEEN ANYTHING NEW IN YEARS!!! Okay, not new as in new games or concepts but new as in major graphical advances. I remember the hay day in graphical gaming when the PC was ruler of the gaming world with new release always pushing the edge of home graphical technology. It was in this time that the main players, Nvidia and ATI, were at each other’s throat fighting for market share. In this past era, game announcements were more focused on graphical power rather than on their story or new game mechanics. Let’s take a brief history into first-person shooter game engines to see how it all lead up to today. The first real engine came with the visually stunning game Doom and its self-entitled Doom Engine. The Doom was the first attempt at a fully modifiable 3D game engine, spawning other games like Heretic and Chex Quest. Next, in 1996 the Quake Engine introduced the use of polygons into the mix, giving players a more realistic environment to roam around in. Multiple revisions of the Quake Engine have been introduced into the market and is still one of the leading graphical engines out there. Closely related to the Quake Engine is the Unreal Engine that debuted in 1998. It had the ability to integrate rendering, collision detection, AI, visibility, networking and file system management into one complete engine. Known for its ability to be modified without going deep into the engine internals, Unreal has become the other main player in the market today. It wasn’t until 2004 where the next biggest leap came with Valve and their coveted Source Engine, reinvigorated the Half Life series. The game, originally released in 1998, took a six year hiatus to premier with the engine. Currently, the Source Engine is the staple for Valve in producing their other games like Team Fortress 2, Counter Strike Source, and their newest fist-person shooter aforementioned in this article. Along with the Source Engine, a new competitor emerged with the CryENGINE introduced through the Far Cry Series. 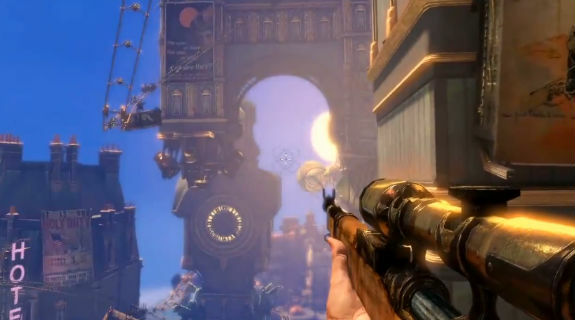 Since 2004, other engines have been produced to introduce different enhanced visuals for gaming like the RAGE Engine and the newest Unreal Engine. As it stands, the main players in the market are Valve’s Source Engine, CryENGINE, Unreal and Id Tech 5. It may appear at first that the industry is on the up in terms of graphical advances, but the reality is that none of the engines really required huge hardware upgrades. A seven year break is too long! Why has the industry taken a back seat to innovation in the graphical realm and where have they gone? Many have speculated that the PC is no longer becoming the primary video game console anymore due to the high maintenance cost required to keep up with those hardware advance prior to 2004. In addition, consoles have become more mainstream offering new games at a constant price for many years without the need for yearly upgrades. The cost of producing technology breaking games have also increased with the introduction of devices like smart phones and the iOS devices. Gamers are now focusing on smaller, less hardware intensive games produced by independent companies. The whole industry is changing leaving graphics and game engines to the way side. I guess the focus on gameplay and creativity is a good thing for games, but seven years is enough of a break. Games are starting to blend together with no real visual differences between them. Every Call of Duty game looks the same as its predecessor. Certain companies are creating games in their own style like Rockstar’s RAGE Enginewhich only exemplifies this fact. The market is stagnant and everything looks the same. Why has television technology improved greatly while the consoles are lacking behind? PC games were playing at high-definition before that term was ever coined in the television market. Pixels were being crunched onto larger data storage devices which drove for better technology like SATA hard drive systems. PC enthusiasts had a smörgåsbord of toys to play with like liquid cooling systems, CPUs meant to be overclocked and rigs that, at one time, only NASA could dream of owning. Despite this bleak outlook, the Id Tech 5 engine is proving to be the break we needed. 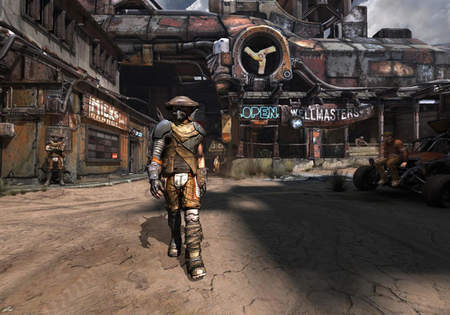 First demonstrated at WWDC 2007, the engine is primed to be released with the game Rage and Doom 4. The engine has featured 20GB of texture data which supports resolutions up to 128,000 x 128,000 pixels. Textures can be streamed automatically into memory as needed which gets rid of any memory or texture limits experienced in previous engines. Shadows should also have softer edges featuring various other graphical advances. The Id Tech 5 engine is the starting point for a reinvigorating of the industry. The current generation of consoles is showing their age and hints at the next is emerging with every month passing. The "Xbox 720" or the "PS4" may provide the needed kick in the pants for graphics. The next generation is forcing companies to revise or create new engines. We are going to see a big leap soon and I for on am on the edge of my seat waiting eagerly in anticipation. Opinion: "You're playing it wrong"
I've finally gotten Cathrinein my hands and I hate it. It’s one of the most frustrating games I have ever played. The controls are horrible, the puzzles are trial and error, the time limit is too strict, and the game does horrible job at explaining itself. If I was reviewing the game I would give it this site’s lowest possible score of 1 out of 4; Except I'm not reviewing the game. In fact, I'm glad I'm not working for a website that is forcing me to review the game, because I would not be able to do this game justice. Everything I complained about is my fault. No doubt my experience with the game was unpleasant. First, I would often die while hanging off the side of a block because I hit the ''’ button expecting Vincent to climb up. When in reality, it made him drop down to his death. 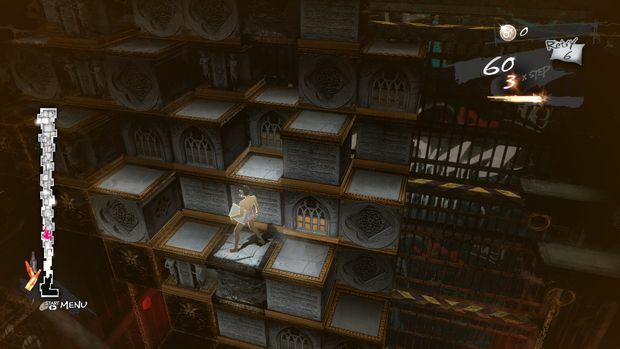 Secondly, when I come up to a wall of blocks with a time limit to worry about, all I can fathom to do is randomly push block blocks around hoping to find the right path. To top it all off, the worst experience was when I finally got a game over on the third chapter of the game which took me to the title screen only to find out that the game doesn't auto save. I now would have to start over from the beginning. From that moment on I hated the game. I don't think there's anything it could do to save itself. These experiences were all negatively affecting my review before realizing it might just be me. Most people that buy a game like Catherine are probably smart enough to learn the different control scheme and to save when it tells you. It’s my fault that I could not. I remember once upon a time being upset at a certain God Hand review for the reviewer being bad at the game. Now I find myself in the same spot Chris Roper was in, reviewing a game I just couldn't play correctly. I don't want to do the same thing Roper did and just pass off the game as being bad, but I also can't just ignore my own negative experiences with the game. So then as a reviewer what should I do? The role of the game designer is to teach you how to play the game so the designer does have to answer for something. The gaming crowd is large enough that there is bound to be someone else who makes the same mistakes as I do and therefore hate the game for it. All game designers work hard and test hard in order to make these incidents as rare as possible, but it’s impossible to catch everything. However, the line has to be drawn somewhere. Shawn Elliot, of the Bioshock Infinite team, once told a story about tester who would not even touch the right analog stick. No matter how many times they explained the joystick mechanics to him, he still couldn't get it. As a result, that tester must have had a horrible experience with the game, but it would be silly to expect the game designers to put a one hour tutorial teaching players to put their thumb on the right analog stick. Video games have that unique characteristic of interactivity which can cause opinions to vary more wildly than any other medium we know. How we interact determines our overall experiences with the game which leads to greatly opinionated viewpoints than we are used to. If it takes me a full frustrating hour to figure out a simple puzzle that would take others just minutes to solve, then as a reviewer I have the obligation to detail my reasons for being upset. I believe I also have an obligation as a reviewer to pinpoints parts of the game that could very well be a problem only I would have. 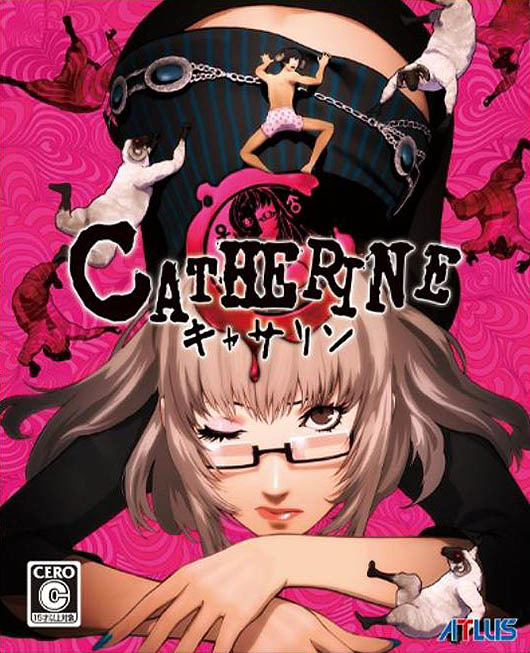 In the end I would probably give Catherine a lower score than most publications. I just hope readers take this article as a warning that video games, more than any other medium, require an understanding on how reviewer reached their overall opinion. Just take this example as a lesson to not take a simple score at face value without reading the reasons behind it. It’s entirely possible all the problems I had would never affect you. As a casual gamer with incredibly small hands, I have found myself exceedingly frustrated with the Xbox 360's controllers. I often find myself trying to stretch my hands to reach the controls, especially the control sticks, and after even a short hour of gaming my hands tend to be sore or cramping. A few months ago, I started what became a tedious and aggravating search for a smaller controller. I got lucky and found the MadCatz Microcon controller. It’s advertised as being 15% smaller than the standard 360 controller, and while 15% doesn't sound that much smaller the difference I found to be significant. 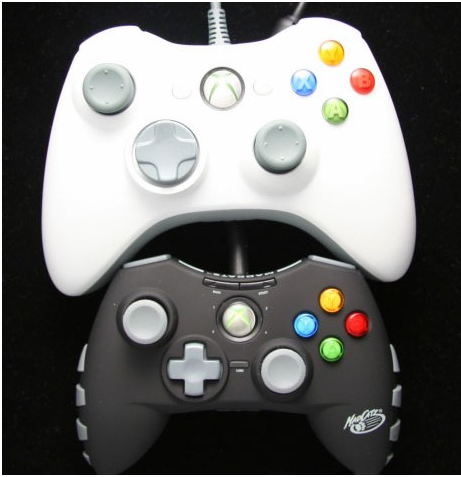 The smaller size allows the controller to be comfortably held in small hands without restricting the controllability or downsizing the buttons too much. The trigger buttons extrude more than on a normal controller, which keeps them from being difficult to find on the small controller. The analog sticks are less sensitive than the official 360 controllers which benefits to give better precision when maneuvering characters in tight spaces. 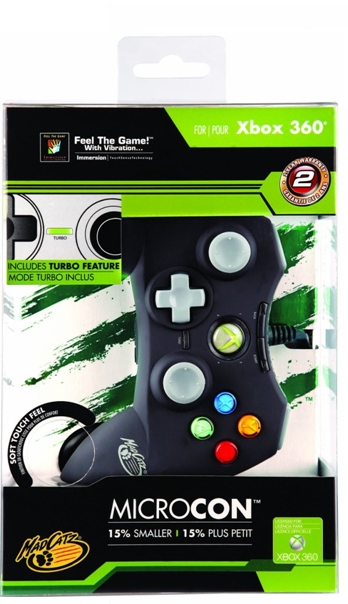 The controller itself is made out of rubberized plastic with raised ridges on the side. The feel of the controller is quite comfortable and gives more grip than the smooth plastic of the standard 360 controller. The Microcon also features a turbo key, which can be applied to all of the action buttons including the bumpers allowing gamers to avoid the sore thumbs that come as a result of repeated button mashing. Also available is an analog stick invert switch allowing gamers to invert the right analog stick quickly of those that prefer inverse y-axis control, especially in first person shooter. MadCatz does offer a wireless version of the Microcon but I was unable to find one for review. The initial concern in purchasing a wired controller is that most gamers like to sit back on their couch and game without worrying about accidently dragging the 360 across the room during heated gameplay. However, the cord was sufficiently long enough to not be too bothersome with overall length approximately 8 feet. Overall, I really enjoyed this controller and would recommend it to anyone who finds the standard 360 controller cumbersome. The price is okay as a third party controller at $34.99, just slightly less than a wired official controller. One downside to the Microcon is its availability as there are a few available on Amazon.com and none through the MadCatz website. In addition, most local video game retailers do not carry the Microcon. The popular team-based real time strategy Dota is receiving a sequel in dramatic fashion with an invitational 16 team tournament being held during gamescom in Cologne, Germany. Known as The International, the tournament will be utilizing the new Dota 2 game which hasn't been released to the public. The winning team will receive $1 million in a form of a giant check and can be seen via live stream in which Valve has promised to provide. Valve has become the primary sponsor in the event providing the prize money for the event with Nvidia giving PC hardware support. Throughout the five-day trade show event, the tournament will consist of a group stage leading to a double elimination playoff format giving teams plenty of opportunity to show off their stuff if four broadcasted languages (English, Chinese, German and Russian). "The International is the first public Dota 2 event and will give the tens of millions of gamers playing Dota around the world their first look at the new game," said Gabe Newell, president and founder of Valve. "I have had the good fortune to watch the competitors as they prepare for the tournament, and the level of play is extraordinary." Dota 2 will be available later this year.